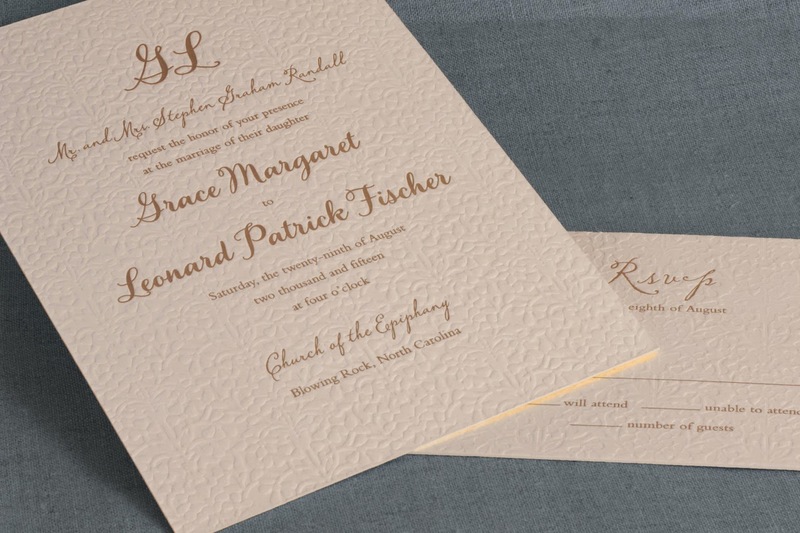 We've rounded up some of our favorite invitations that pair perfectly with the sweetest season. 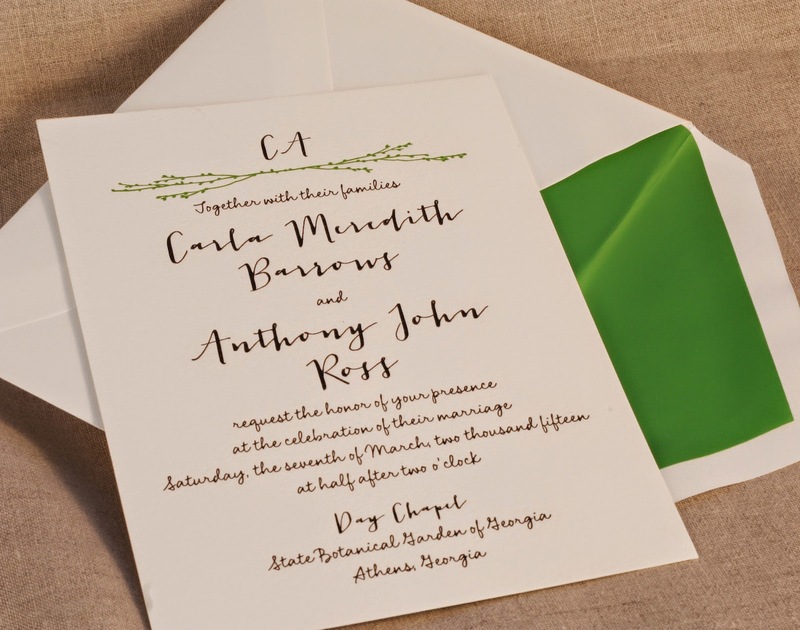 For the country chic soiree, we love this letterpress printed invitation with a sweet branch motif in spring green with a matching envelope liner. 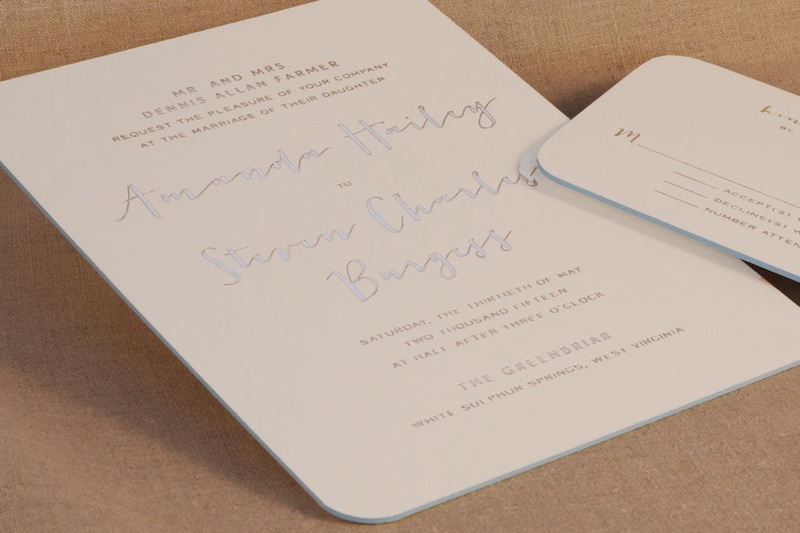 An invitation with a rounded Robin's egg blue painted edge and silver foil stamped printing sets the tone for a delightful day. 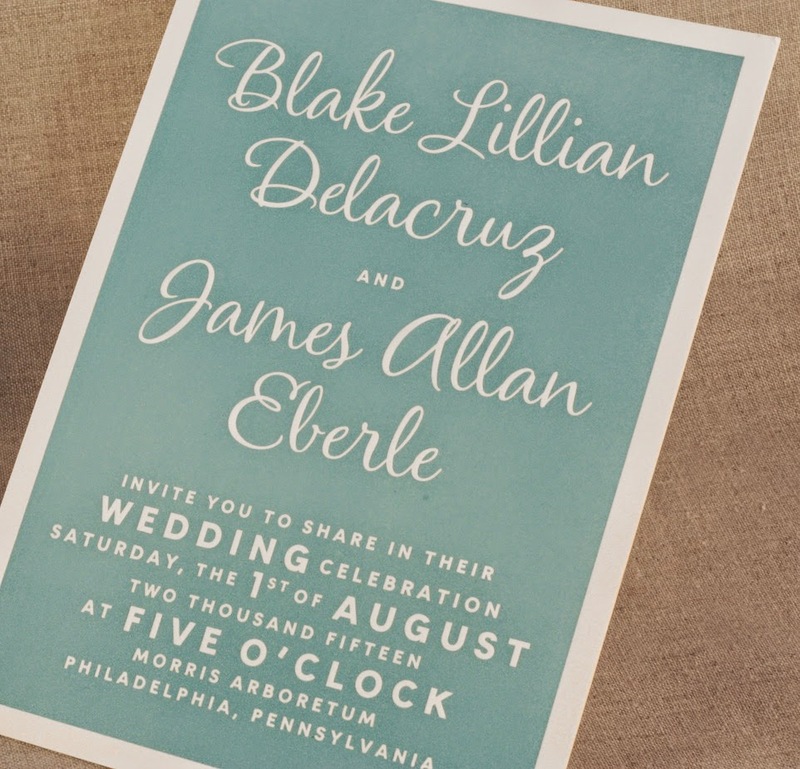 Vibrant and whimsical, our Robin's Egg blue takes center stage on this invitation, letterpress in two fun fonts. 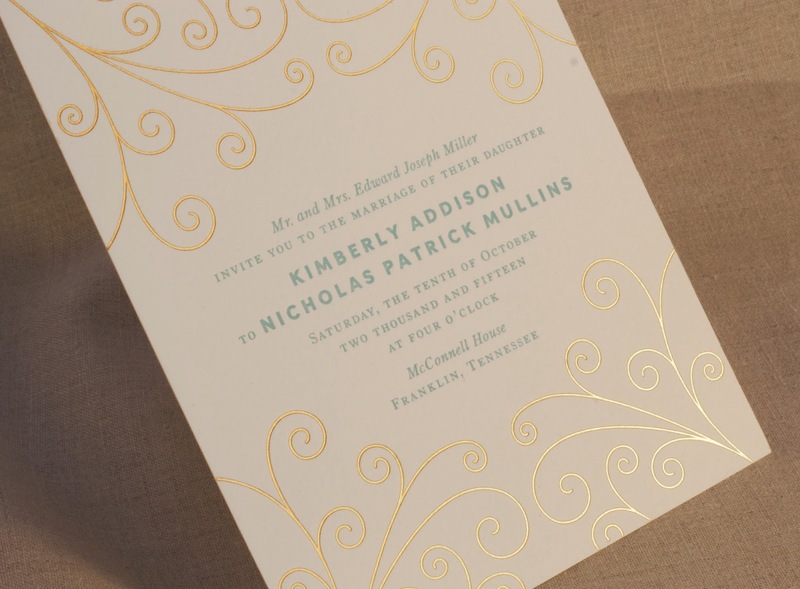 Subtly playful, this invitation with a letterpress printed chevron pattern and peacock ink turns on the charm. 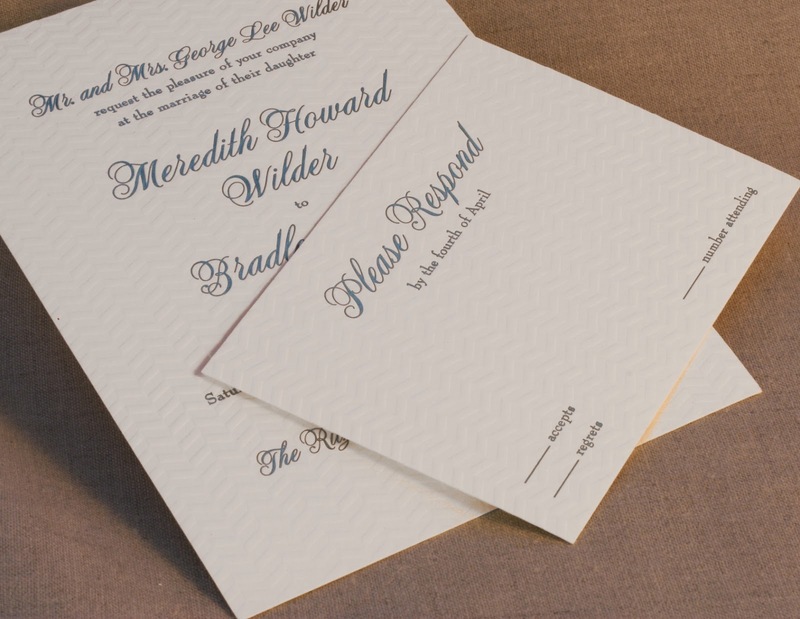 Delightful blooms are letterpress printed in the background of this invitation, printed with graphite ink. 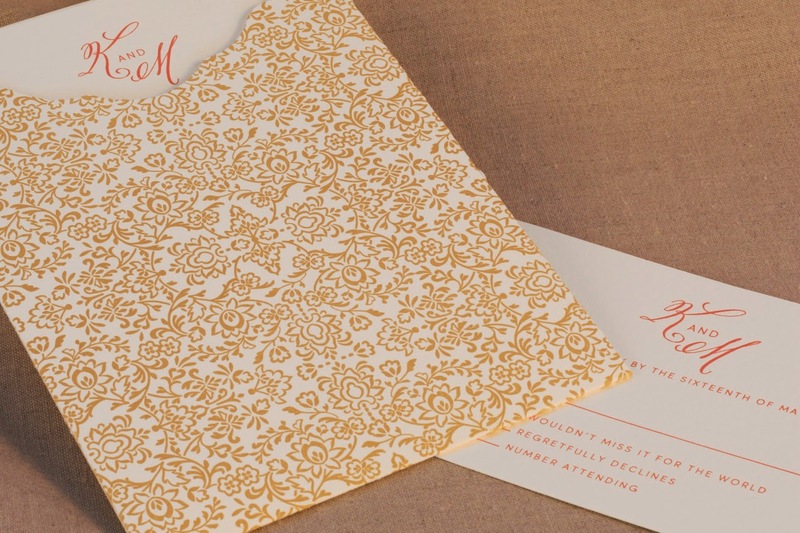 A letterpress printed invitation with a pop of watermelon ink is perfectly paired with an antique gold floral sleeve. Our Robin's egg blue makes a memorable appearance once again, this time accompanied by our gold scroll motif. View our entire Weddings Volume Three album here.